If you are looking for a place to dine in Tartu, Estonia, then you will find no lack of high quality restaurant establishments. As the intellectual capital of the country, Tartu enjoys a food culture inspired by local and international foods, catering to a wide variety of adventurous diners from both Estonia and around the world. Whether you’re just visiting this historical city, or even if you’re a local and you’re looking for a new menu to try, then these are five restaurants that you absolutely don’t want to miss out on. Asian Chef is run by executive chef Balwant Singh, and specializes in food choices from East and Southern Asia. If spicy flavors are what you enjoy, then you’ll definitely want to try out the special Chinese Dumplings prepared at this authentic restaurant. Pork, Beef, and Chicken Momos are an excellent introduction to dumplings, following traditional preparation methods and ingredients. Tandoori Sizzlers are another specialty of Asian Chef, allowing you to taste the uniquely spiced dishes of India, served on a sizzling hot plate for your enjoyment. Thai dishes round out the extensive menu, allowing you to get a true taste of one of the world’s culinary hotspots, right here in Estonia. 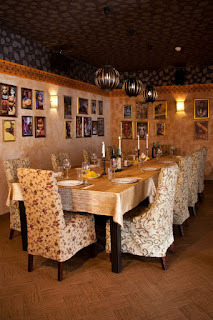 The restaurant is open daily from 11AM until late, and you can reserve seating for a private dinner or business functions. Catering services are also offered, allowing you to make the right impression at your next event. The delights of Indian and Nepalese cuisine are offered here in this authentic restaurant with beautiful décor, inspired from the culture of these two amazing countries. Don’t miss out on the Crispy Vegetable Samosas, filled with select vegetables and served with a tangy sweet chili sauce. You could try the delicious Manchurian Chicken as your main dish, a meal inspired by centuries old cooking traditions in Northeast Asia. An extensive wine and drinks menu will mean that you can pair your food with the perfect drink, and the restaurant is open from 11AM until late, allowing you to spend a long night sampling some of the best Asian cooking that can be found in Estonia. 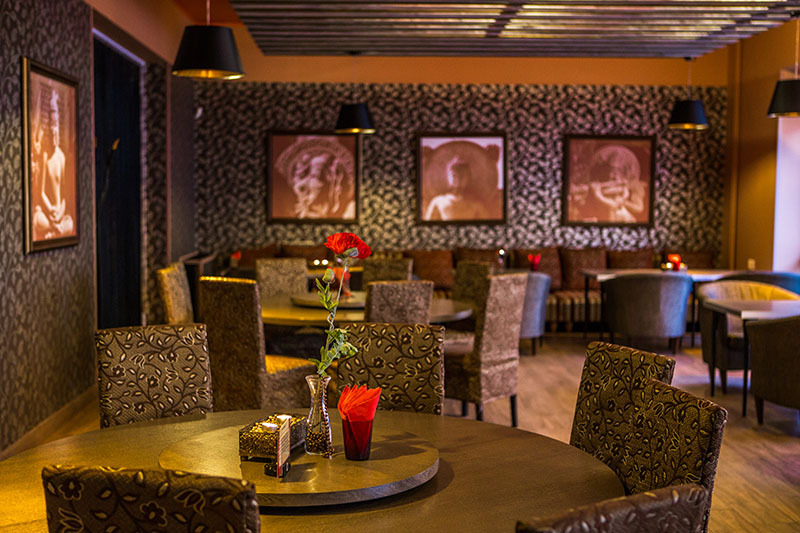 Located on the third floor of Tartu Kaubamaja, Café Muinasjutt offers a casual dining atmosphere where you can enjoy world class food, for prices that will surprise you. The average plate ranges from 8€ - 10€, and you can sample both high quality dishes, as well as a fine wine and spirit selection. Choices like the Isle Jura ten-year-old malt, or the Baron Otard V.S.O.P. brandy would make for excellent selections when you’re relaxing after a day of work, or even if you’re getting your night started with friends, before you head to a restaurant for a full meal. 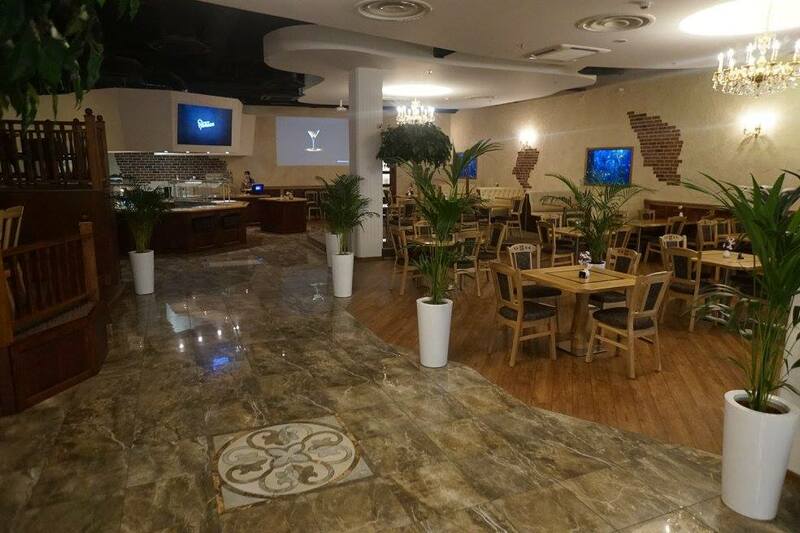 The restaurant includes a summer terrace so you can enjoy outdoor dining and conversation, and with a total capacity for 38 patrons, Muinasjutt could be the perfect location for your next special business meeting or team get together. Muinasjutt accepts reservations and is open daily, from 9AM – 9PM on weekdays and Saturdays, and 9PM – 7PM on Sundays. 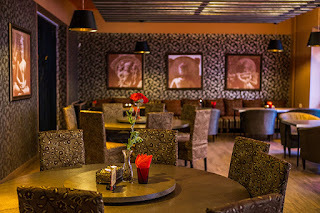 Also located on the third floor of Tartu Kaubamaja, Romaan offers a unique menu designed by executive chef Mikk Voika. 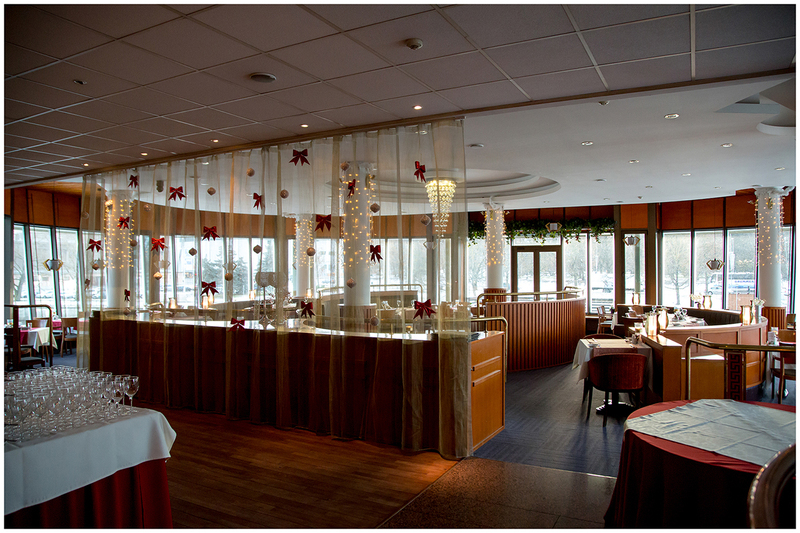 A large establishment with 120 seats, this restaurant is incredibly popular and can get busy, so make sure that you reserve a table if you want to ensure that there is seating available for your group. Designed to be a family friendly restaurant, Romaan offers extensive menu choices, and some of the dishes are sure to surprise you. Take the Cream Cheese Bruchetta as an example. The highlight of this entrée is cured salmon, and it’s a great way to start off your experience and this world class restaurant. When you’re ready to move onto the main dishes, try sampling the Stuffed Chicken Breast, or even the Almond Chicken with Mango-Chili Sauce. If you love pasta but want to try something new, then don’t miss out on the Creamy Pasta with Pork Fillet, finished with strong and savory Blue Cheese. Even the kids will find something to love at Romaan, with a special menu offering popular dishes like Creamy Pasta with Meatballs, Fried Chicken and French Fries, or traditional Frankfurters with French Fries. 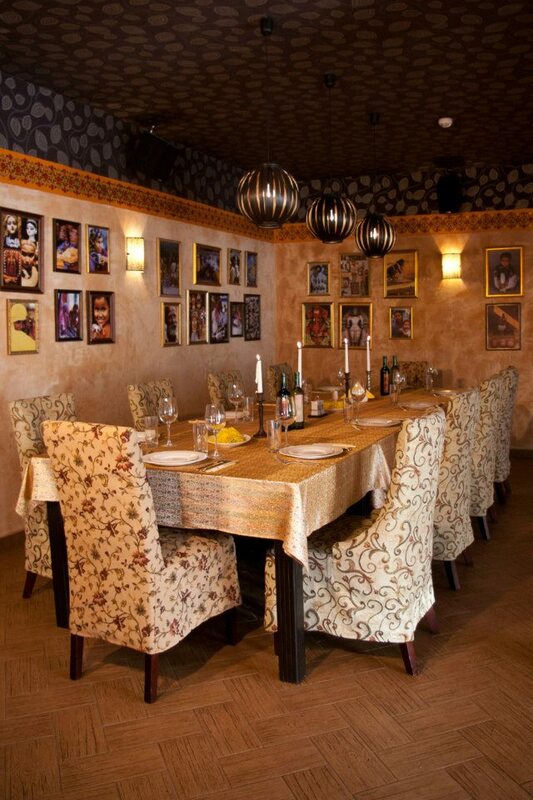 Romaan is affordable so it makes for some great casual family dining or special nights with colleagues or a group of friends. Open daily from 9AM – 9PM, and 9AM – 7PM on Sundays. Don’t miss out on this affordable restaurant where quality and menu choices are never compromised. With a maximum capacity of 200 patrons and a generous outdoor seating area, Atlantis overlooks the Emajõgi river, making for an excellent restaurant to enjoy casual outdoor dining with friends, colleagues, and family. Executive chef Henari Nou has designed an exciting menu that will cater to a wide variety of people with different tastes. Appetizers like Mild Beef Carpaccio, and Mussels served in garlic, should not be missed on your next visit. The soups are also excellent for starting your meal, and the Borsh soup is highly recommended, inspired by a much loved European dish. Mains include a vegetarian menu, and even if you’re not a vegetarian you should still try the Portobello Mushroom, a delicious dish that is cooked with pesto, cherry tomatoes, feta cheese, and roasted potatoes. You can enjoy delectable deserts and there’s even a children’s menu. Open Monday to Friday, with a 1AM closing on weekends, this is an excellent spot to enjoy Estonia and the creative food that the country has to offer. META: Discover some of the finest restaurants in Tartu. Covering a wide variety of cuisines from around the world, this is world class dining in the heart of Estonia. No Comment to " Five vabalaud.ee Restaurants in Tartu That You Need to Try "